Uncover the world’s biggest conspiracy when “Geostorm” arrives onto Blu-ray Combo Pack, DVD and Digital. Dean Devlin (writer/producer, “Independence Day”) makes his feature film directorial debut with suspense thriller “Geostorm,” The film stars Gerard Butler (“Olympus Has Fallen,” “300”), Jim Sturgess (“Cloud Atlas”), Abbie Cornish (“Limitless”), Alexandra Maria Lara (“Rush”), Daniel Wu (“The Man with the Iron Fists,” “Warcraft: The Beginning”), Eugenio Derbez (“How to Be a Latin Lover”), with Oscar nominees Ed Harris (“The Hours,” “Apollo 13”) and Andy Garcia (“The Godfather: Part III”). · “Wreaking Havoc: Cutting edge visual effects, research and technology create the world of Geostorm. 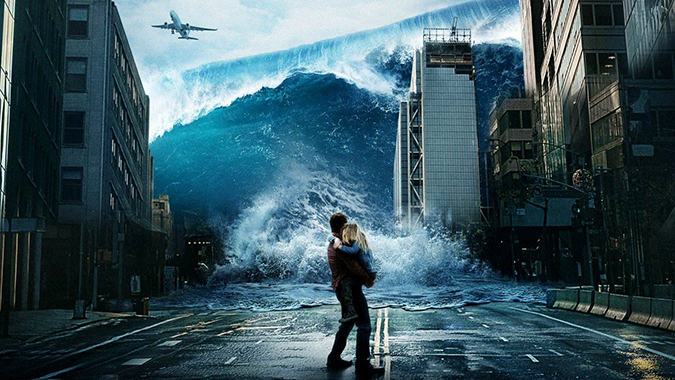 · Search for Answers: Inspired by his daughter’s question of why can’t global warming be stopped, Director Dean Devlin retraces the creative journey that led to Geostorm. 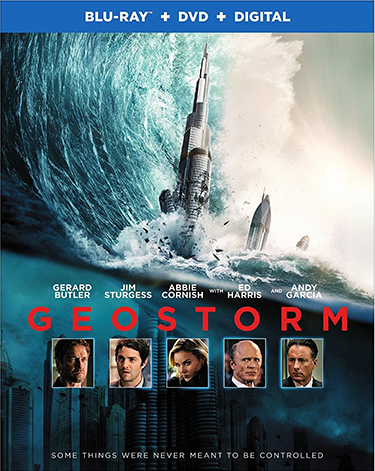 · An International Event: A global cast opens up about the secrets behind Geostorm.